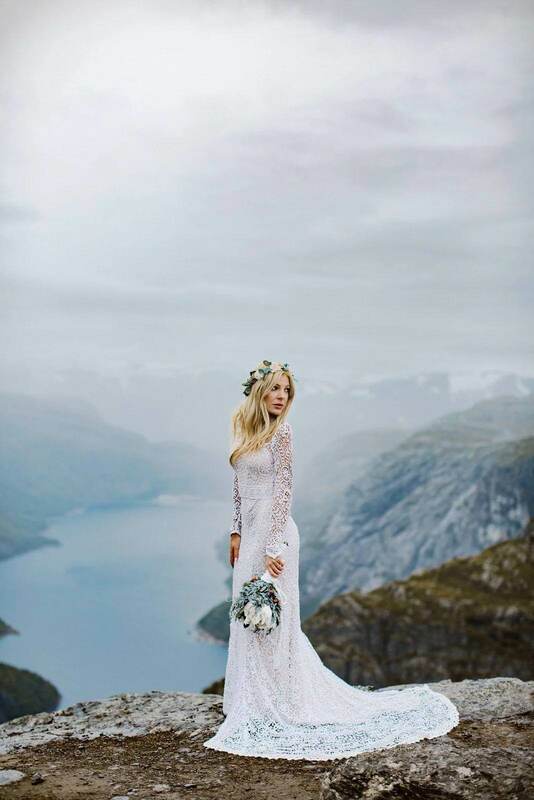 I really enjoyed browsing through the gallery of this couple epic wedding photos. They reminded me what the essence of marriage is, which people often lose sight being occupied with all the details around wedding organization and all other stuff that needs to be done to organize a wedding. 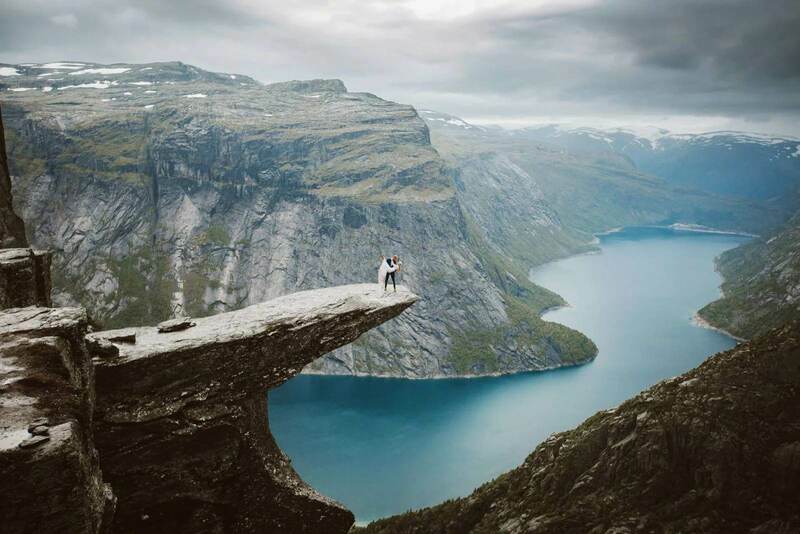 Two people standing calm and with confidence by each other, looking together in the same direction in front of a vastness of landscape of future life. 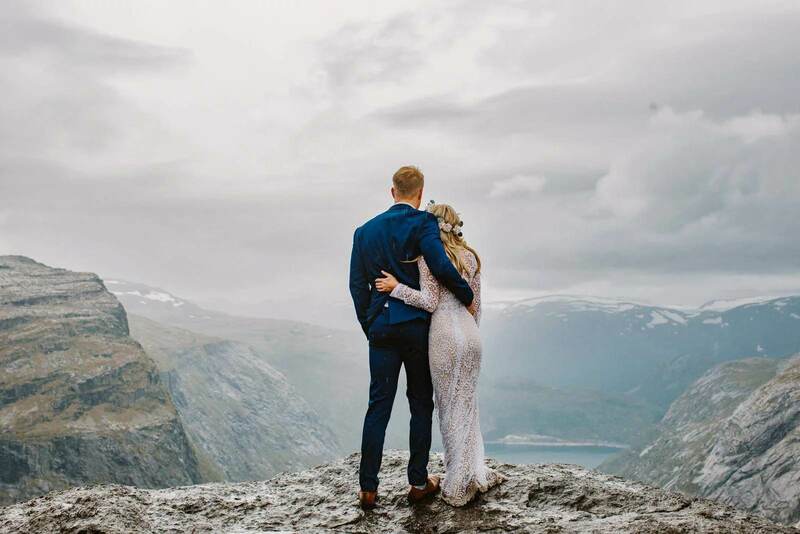 The breathtaking wedding photos that you’re about to see in the gallery below are taken at the famous rock formation in Norway called Trolltunga, or “Troll Tongue”. 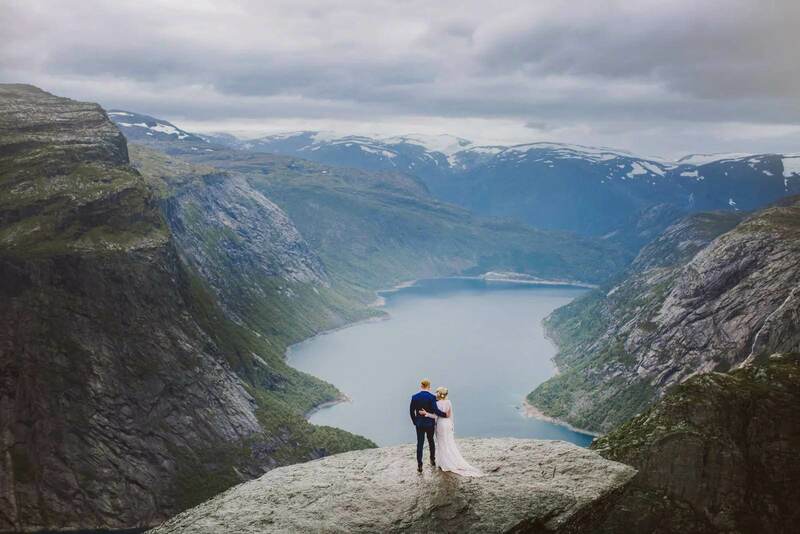 The photographer that was in charge of taking these stunning wedding photos of the couple on the cliff is Priscila Valentina which has done a remarkable work. 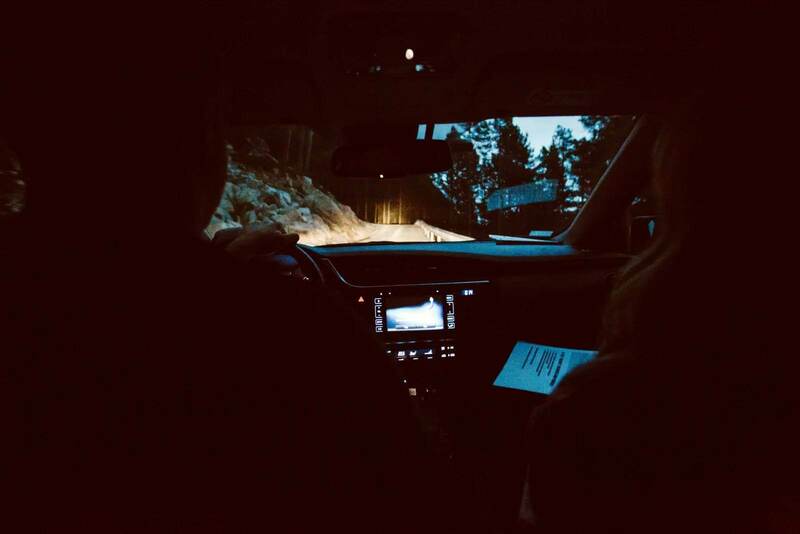 Not only she did a great photo shoot at the cliff, she also took the great journey together with the couple to reach their shooting destination. 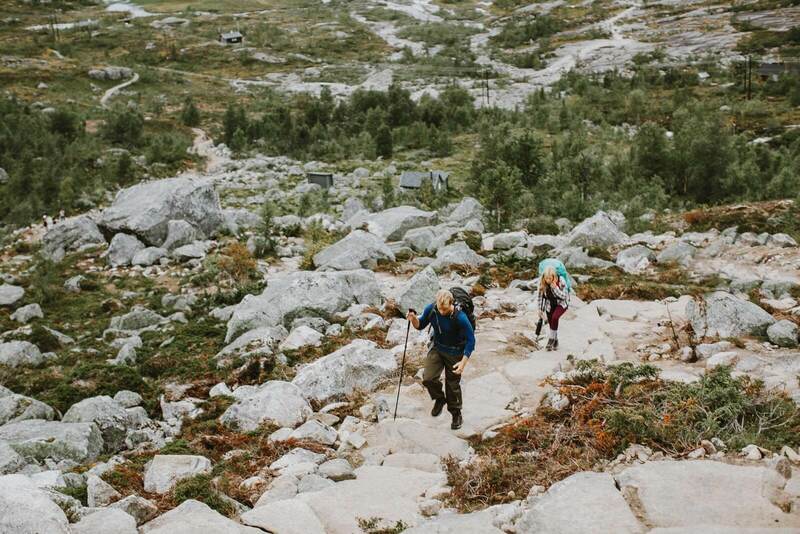 The group started hiking early in the morning, before sunrise, in order to reach Trolltunga at the perfect time for the photo shoot. Valentina also carried her 35 pounds of camera gear in her backpack. 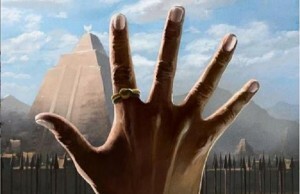 The results can’t be lousy when you put so much effort into the realization of an idea. 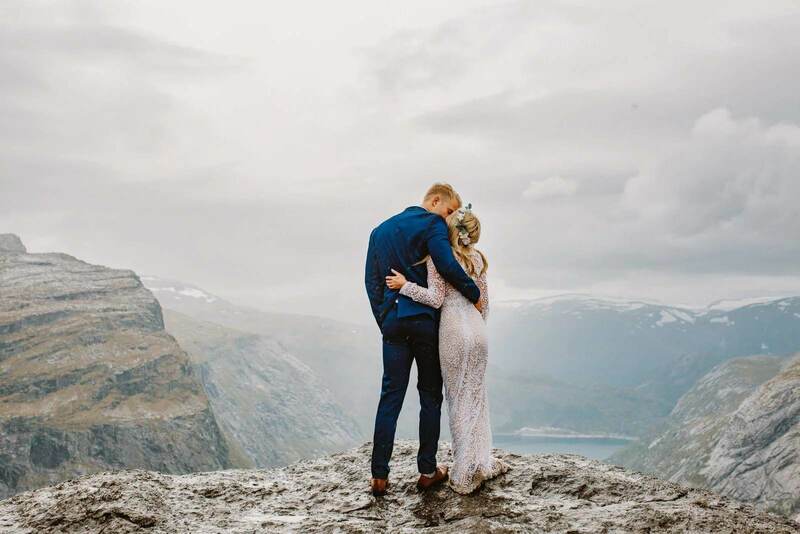 Take your time and enjoy these epic wedding photos and if you like what you see you can find more of Valentina’s work on her website. 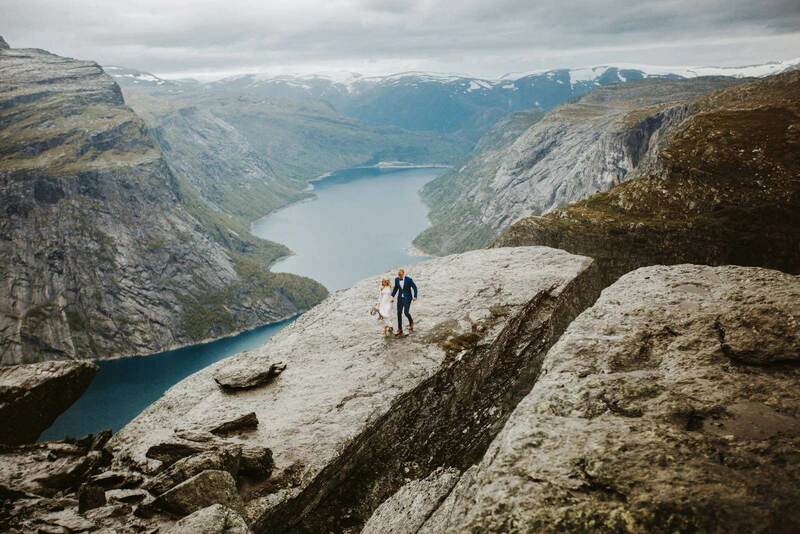 These epic wedding photos are taken at the famous rock formation in Norway called Trolltunga, or “Troll Tongue”. 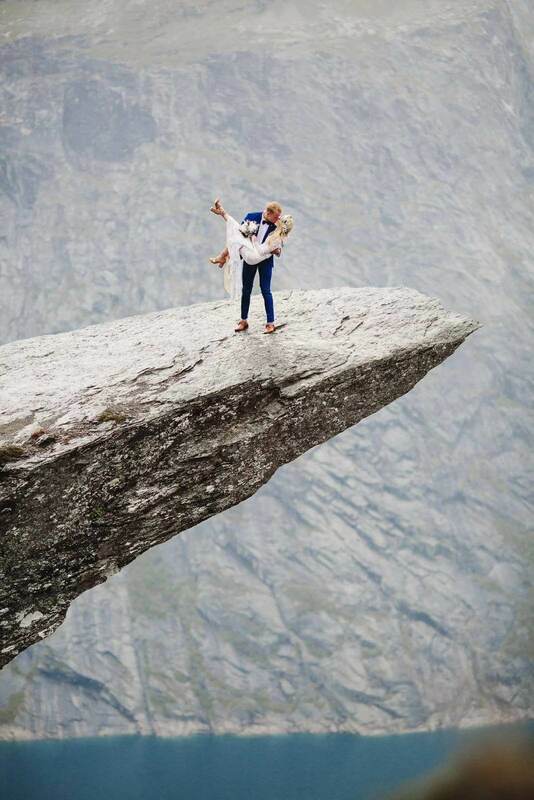 The photographer and the couple hiked together to reach the photo shoot destination. 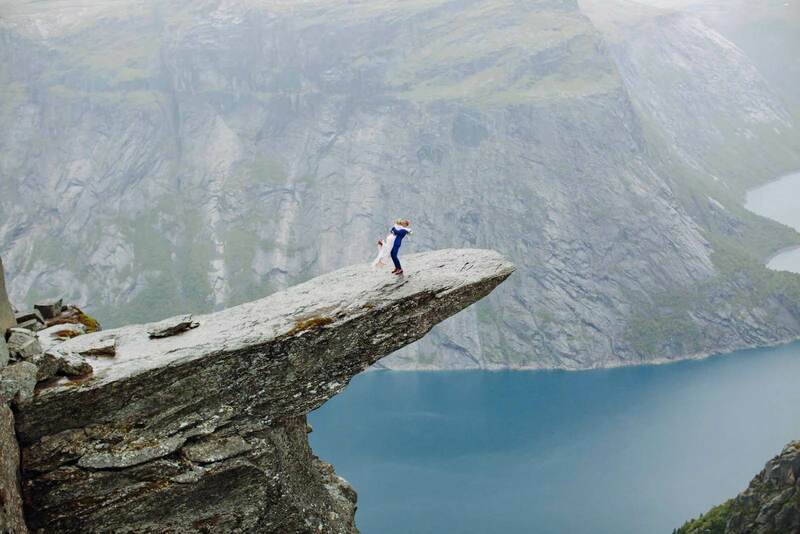 It was “an incredibly gruesome 14-hour hike [to and from the rock] but arguably the most epic view on earth,” Valentina tells PetaPixel. 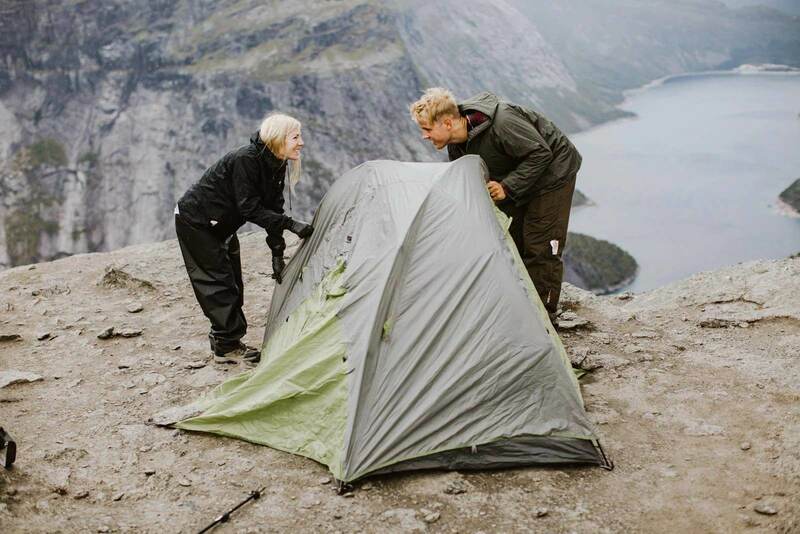 The group started hiking early in the morning, before sunrise, in order to reach Trolltunga at the perfect time for the photo shoot. The couple got ready for the photo shoot inside the tent. 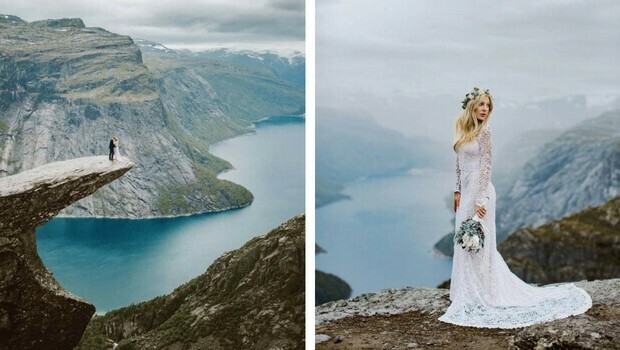 Keep scrolling to enjoy epic wedding photos of this couple standing high above the lake and valley. ← Previous Story Cute Bunnies And Kittens Who Are Twins In Disguise. 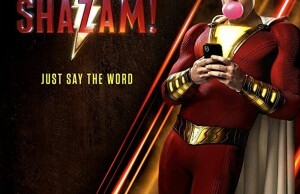 Could You Believe It?